I'm a little late to the party because most photographers have already been to this beautiful location! I'm typically creating photos in my home studio, so when I get the chance to have a session outdoors, I take it! I LOVE where I live! We have the desert beauty including cactus, aloe, lava rocks, red rocks, white rocks, and more red mountains. First session was with my friend & model Maygen. Find her insta here & facebook here. The scheduled session was with the client, we had a fun time chatting with a few tourists we bumped into, but mostly were alone on this overlook area. 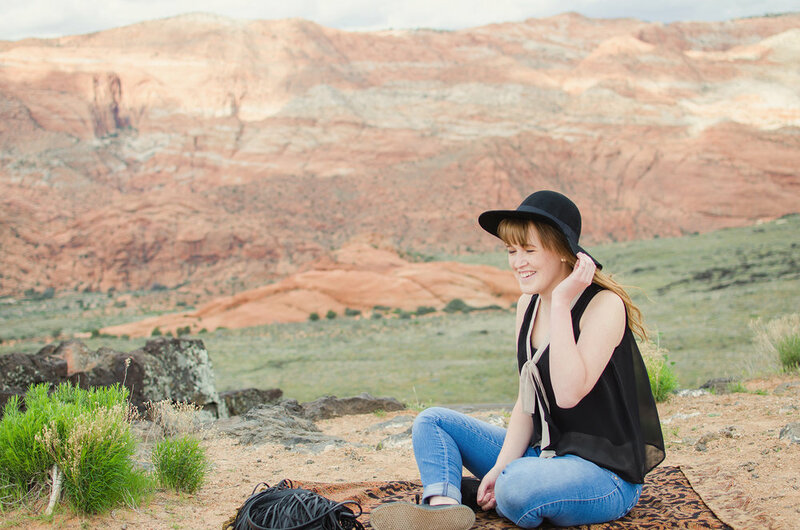 This location overlooks parts of Snow Canyon State Park, so it's a beautiful location. It's a dirt road, but not a problem for cars. It's a short road and you can drive right up to the location. If you find yourself in the Southern Utah area and want to check it out, message me and we'll check it out! Meanwhile, congratulate this lady right here, because these were her graduation photos! 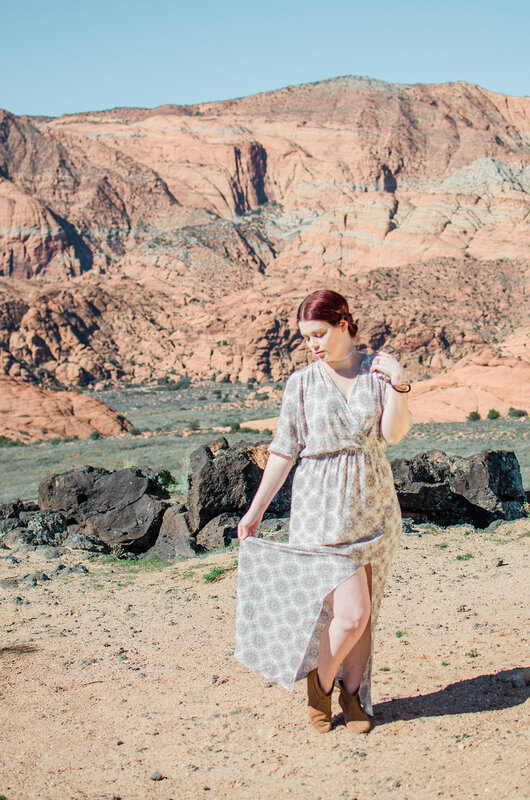 If you're in the Southern Utah location and have a desert/nature/boho type brand, this would be a perfect location for some branding portraits!! Pin one of the below photos to save this location idea & support my business!